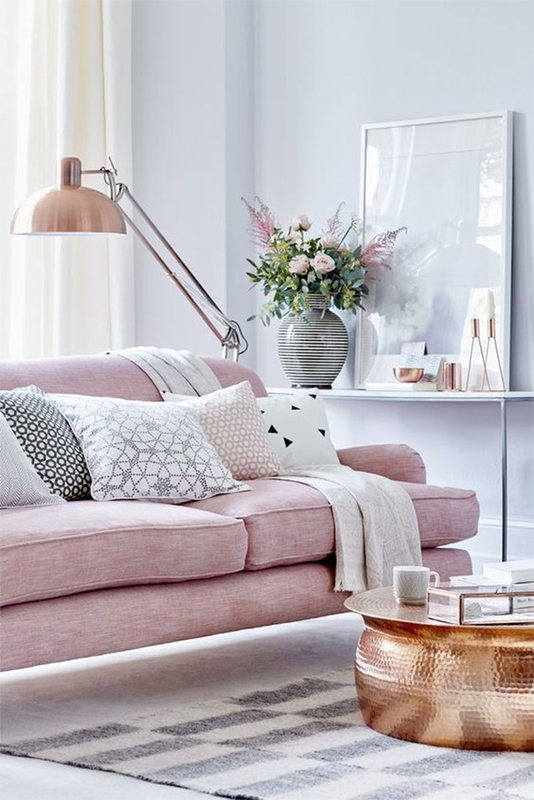 Today’s edition of Fashion meets Interiors showcases the powerful impact of pastel and blush shades in a chic summer outfit! Celebrity stylist Mar’Tee Steward chats with me about life as a stylist, the beauty of blush pink, and why the interior design photo I provided her was so inspirational. Jacquin: Working as a fashion stylist sounds like a fun job! Tell us all about your career and personal style. Mar’Tee: My name is Mar’Tee Briann and I am a fashion stylist based out of Los Angeles. I work on a wide variety of projects including TV shows, editorials, celebrity styling, and personal styling. I would describe my personal style as minimalist glam. When it comes to wardrobe I rely a lot on basics and solid color palettes, but I always up the ante with statement accessories. 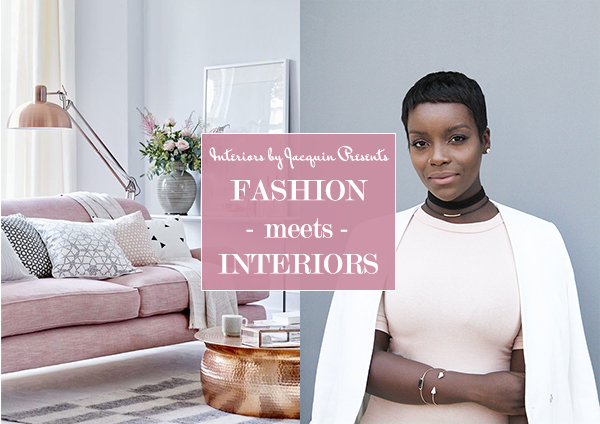 Jacquin: What inspired you about the interior design photo to come up with your outfit? look really pretty and feminine. I decided to add the white blazer to this look to coordinate with the white throw pillows in the photo. I think the white throw pillows add a pop of freshness to the room and I wanted to include that to my outfit too. Adding a blazer to an outfit will always take your look to the next level, not to mention that bright white makes for a crisp and clean look. Definitely a great reason to try a classic white blazer or jacket. I also decided to do a knee-high black heel to coordinate with the black accents in the photo. One of my favorite elements of this outfit are my geometric cutout shoes. They really compliment the geometric shapes on the throw pillows well. To bring it all together I threw in some dainty black and gold accessories, which bring this look together nicely. My outfit captures the feminine essence of this room. Jacquin: What is the best thing about your career as a stylist? What are some things that are more challenging? Mar’Tee: The best thing about working as a stylist is helping people feel their absolute best. Inner beauty will always be the most important thing about an individual, but feeling confident and secure in how you look can be extremely powerful. The most challenging aspect about working as a stylist is the grind. This job isn’t glamorous! Lugging racks, garment bags, duffel bags, steamers, etc. all around town is a hustle and very physically demanding. Jacquin: What is an average day like for you as a stylist? Mar’Tee: There is no average day! But that’s what I love about it. I can have a day where I’m running around like crazy- shopping, pulling, and having fittings- or I can have a day where I’m on set for 12 hrs. Some days I work from home and some days I work with personal clients in their homes. Every single day is different and I’ve learned to appreciate that in my career. Jacquin: What has been your favorite or most memorable styling job so far? Mar’Tee: My favorite styling job so far was actually a more recent project. A few months back I went on a press tour with actress Holly Robinson Peete to promote her show on the Oprah Winfrey Network, “For Peete’s Sake”. It was a last minute, crazy, whirlwind of a trip but we had so much fun and our whole team bonded. It’s was a great experience. 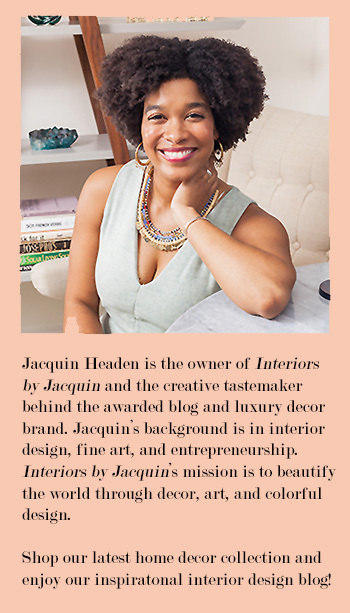 Jacquin: Where is your favorite place to go for creative inspiration? Mar’Tee: If you saw my everyday wardrobe you’d probably think I was a real city slicker who takes inspiration from urban life. However, those who know me well know that I absolutely love the beach. I’m enamored by its natural beauty and seemingly simplistic nature. Although it may not inspire my wardrobe directly, it certainly inspires me creatively and allows me to stay grounded in the present moment. I always leave the beach feeling refreshed and rejuvenated. 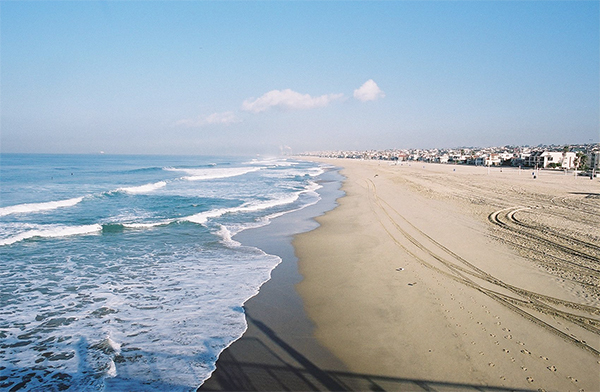 My favorite beaches in the greater Los Angeles area are in the South Bay – Redondo Beach, Manhattan Beach, and Hermosa Beach etc. They tend to be less crowded and have a small town vibe. If I can’t manage to make it to the beach, sometimes I just enjoy being poolside with a book while listening to some smooth R&B or reggae music. A perfect afternoon for me. 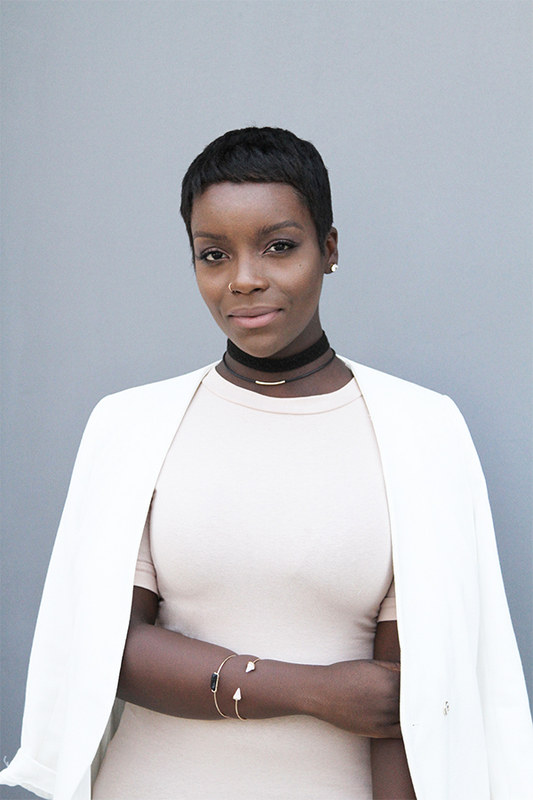 Stylist Mar’Tee Steward’s favorite place for creative inspiration is Hermosa Beach in California.